The NFL's Twitter account might need a stronger password. Roger Goodell is alive and well. NFL VP of communications Brian McCarthy quickly tweeted on Tuesday afternoon that the league’s official Twitter account had been hacked, and commissioner Roger Goodell was "alive and well." Minutes earlier, a hacker using the NFL’s Twitter account posted that Goodell had died at age 57, and followed up with a tweet saying, "Oi, I said Roger Goodell has died. Don’t delete that tweet." The hacker followed up with, "OK, OK, you amateur detectives win. Good job." The tweets were quickly deleted. Here’s how sports reporters covering the league reacted. The @NFL account was hacked. Roger Goodell is fine. Carry on. NFL's Twitter account was hacked. 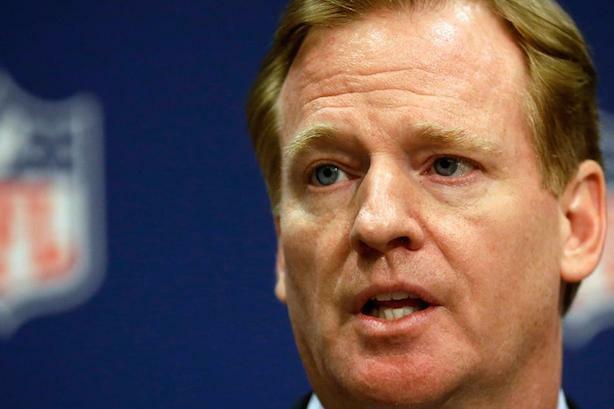 Roger Goodell is working away. I regret to inform my fans that Roger Goodell is still alive. If the NFL account Tweets out a picture of Goodell with a gas mask, it's all over, shut it down. Your call: Should the New York Times retract its latest NFL concussion report?